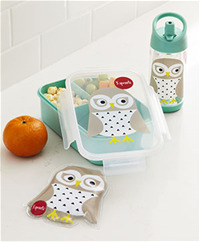 Pack easy, healthy meals on the go with the 3 Sprouts Lunch Bento Box, Water Bottle, Reusable Snack and Sandwich Bag! 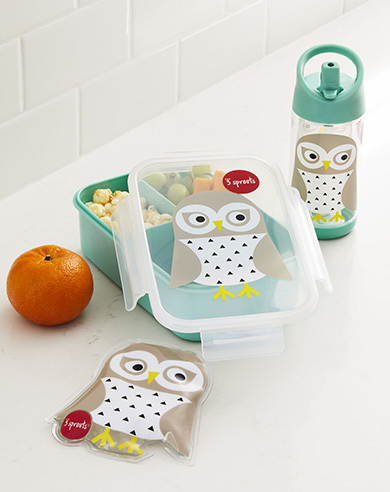 Designed for kids our lunch items are priced perfect for everyday use and dishwasher safe. Pack easy, healthy meals on the go with the 3 Sprouts Lunch Bento Box! The leak proof design is perfectly portioned for a child’s appetite and the kid friendly latches open and close easily. The 3 Sprouts Lunch Bento Box eliminates the need for plastic bags and keeping your child’s lunch litter free. Dishwasher and microwave safe. Available in five signature 3 Sprouts animals - Owl, Fox, Bear, Fox & Deer. 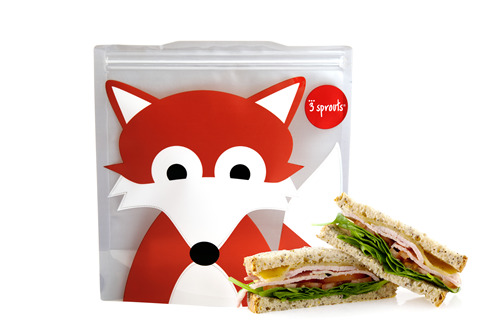 3 Sprouts Snack and Sandwich Bags are reusable, resilient and affordable! With reinforced seams and a locking press seal closure our bags will keep your little one’s food fresh and in its place. The stand-up design helps to ensure a mess-free meal time. Each bag is free of BPA, PVC and phthalates. 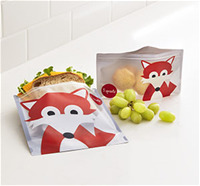 The 3 Sprouts reusable snack and sandwich bag helps you make a healthy choice for your on-the-go family!